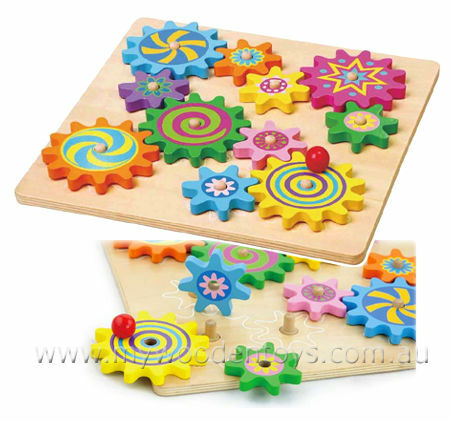 Spinning Gear Puzzle Board is a beautifully colourful puzzle made up of cogs which lock together and can all be turned at once using the handle on one of the gear pieces. Each cog has a specific place on the board which is outlined so it is not to tricky or frustrating. To get all the cogs to turn all the pieces must be in the right place. So as your child plays with the puzzle they learn by trial and error. A fantastic learning toy which is great fun. We like this because: "Brilliant cause and effect toy."